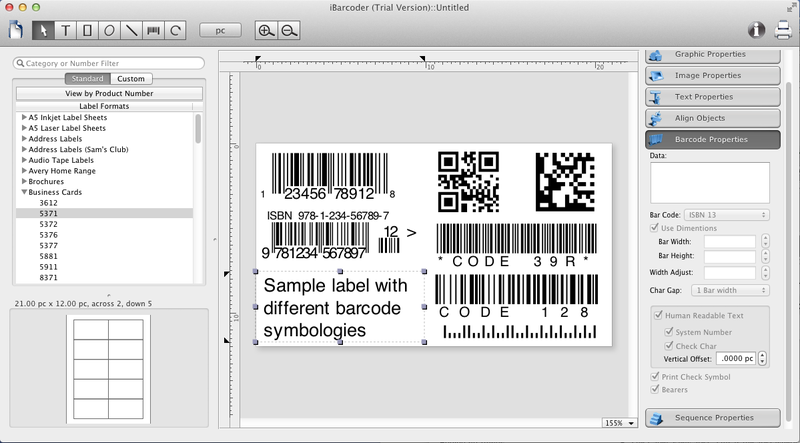 Label Format preview. Shows the thumbnail of the page with the labels layout. Object Information Panel with Properties tabs on the right of the window.